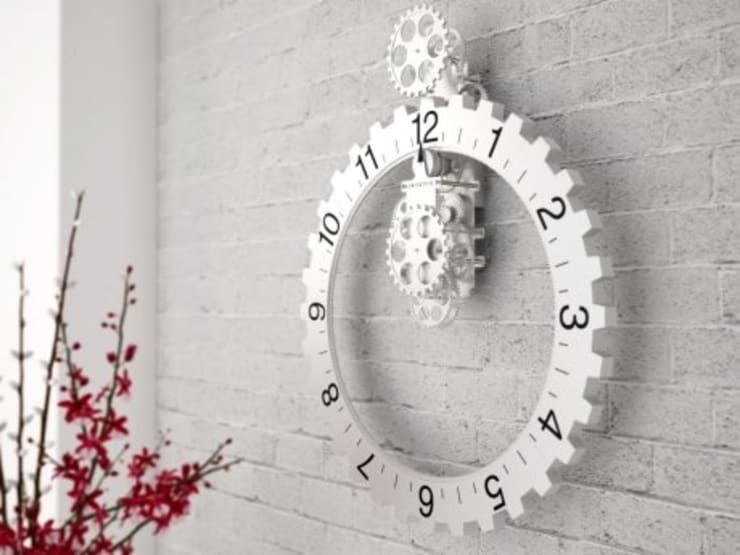 A fascinating and novel wall clock where the gears all spin around slowly and quietly to turn the large gear which in turn tells the time. The Bezel Gear Wall Clock measures 22 inches in diameter and will surely be the focal point of a modern living space. The gears on the driving mechanism turn slowly and remain in constant motion as they turn the time wheel.